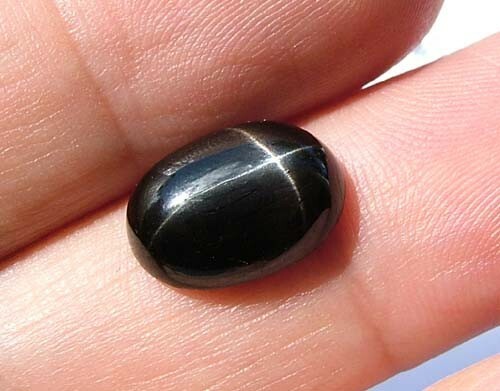 Black Star Diopside is rated at 5.5 on Moh's Scale of Hardness and though it is suitable for jewelry purposes, care should be taken with this stone for it is relatively soft and brittle. 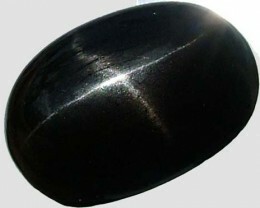 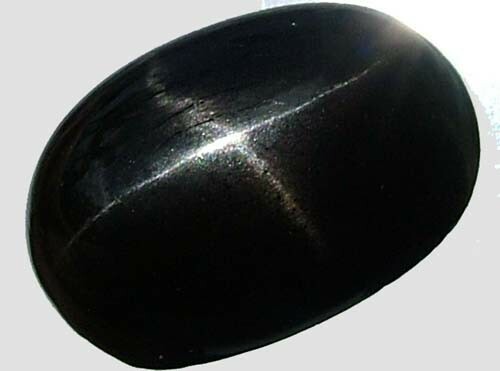 This opaque stone is generally black in color but can occasionally be found with shades of green. Black Star Diopside exhibits a star like phenomenon known as Asterism. 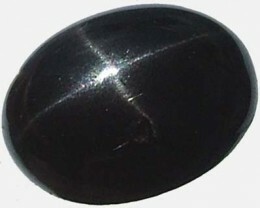 These stones contain inclusions in the form of needles that align to produce the white 4-rayed star. 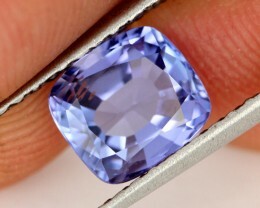 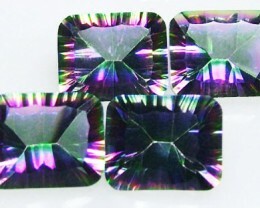 It is unique in this sense because it is the only gemstone to exhibit a 4-rayed star. 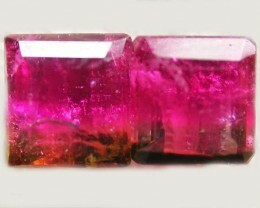 Sometimes needle-like surface crystalline inclusions are visible, particularly when viewed from below. 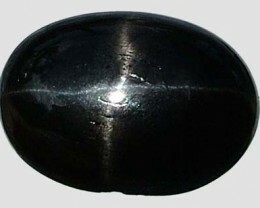 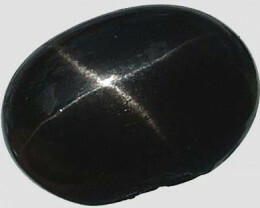 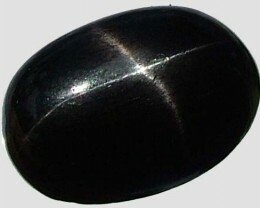 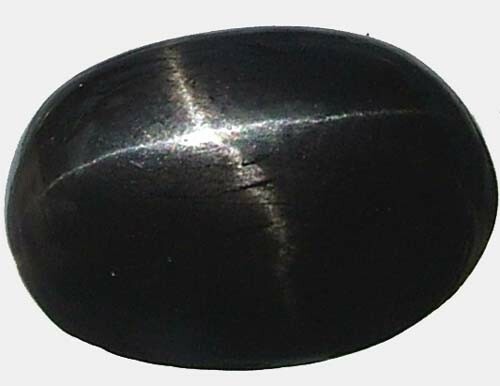 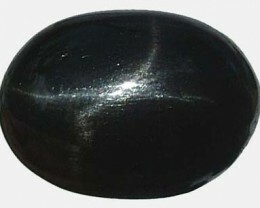 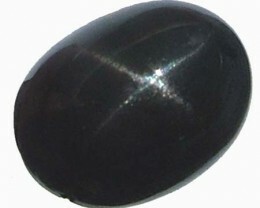 whereas the Black Star Sapphire will exhibit six (occasionally twelve), rays. 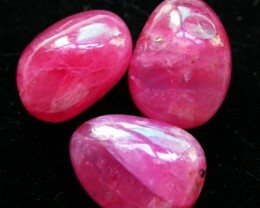 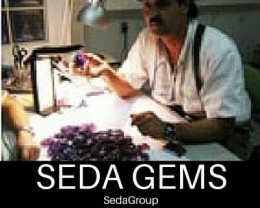 This difference is caused by the physical make-up of each of the stones and the presence of a different number of crystal faces for the light to refract off of.